Matt: You take great care to shed light on possible shady monetary reward deals made between police and prosecution witnesses, most importantly Ronnie Howard. 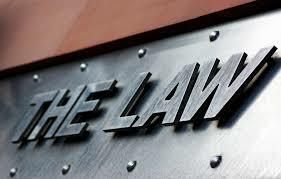 In your opinion what role did that play in swaying the jury and in the ultimate outcome of the trial? RH: As for Ronnie's testimony, it was obviously more important for the prosecution of the Manson Family defendants, as to what she didn't say, or concealed. I would rather not reveal too much about Ms Howard's story/confessions, but let the readers discover for themselves what may, or may not, have motivated the jury. 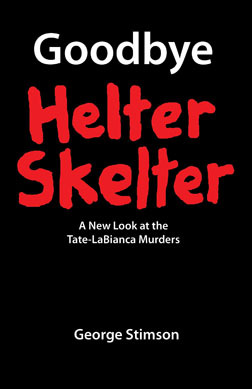 For me, the fact that no "witness" even mentioned Helter Skelter as a motive for the Tate massacre, until the prosecutor started interviewing witnesses and building his case, is very significant. But, what moves a jury can be something as simple as "the glove doesn't fit. Because the very foundation of any judicial system is dependent upon the ingredient "truth," justice was not served in the Tate/LaBianca murders case. But, I must also acknowledge the true spirit of American justice, as Mr Obama has so eloquently explained it to be: Anyone who doesn't think it's OK to kill bad people like Bin Laden (without due process of law) should have their head examined. Matt: This is more an observation than a question: I really enjoyed the chapter devoted to a cell mate who was NOT Ronnie Howard, who Sadie first spilled details of the murders to. She did not go to police. Her interpretation of the confession is markedly different than Ronnie Howard's ultimately was at trial. The juxtaposition of these two women is thought provoking and raised my antennas regarding the way witnesses were handled by the police and the prosecution. Thoughts? RH: Obviously, Nancy Jordon is a key witness who the jury never knew existed. Because Susan Atkins never even mentioned to Nancy that Charles Manson was involved in the Tate murders, his role in that specific massacre was probably minimal, at best. Thus, Nancy could have put a huge dent in the prosecution's claim of Manson's primary involvement in the Tate murders. So why did the "Defense" not call her as a witness? Matt: I was intrigued by your exposure to "Kevin", who became a post-TLB Family member. You throw out the possibility that he was a law enforcement plant. If not for the numerous links of the Family to Hollywood and the monied establishment I'd be skeptical. However it makes sense given all of the pieces of the puzzle. Is that a strong possibility in Robert Hendrickson's mind, or just a passing idea. RH: I knew there was something different about Kevin and now there is a rumor that he was an F.B.I. agent sent undercover to watch over me. I started looking back in time and realized that after Kevin arrived on the scene, he was always there when I was filming: Death Valley, Devil's Canyon, etc. As briefly mentioned in the book, I was a member of Area 51 (a top secret military installation) and although my association with the "Article" project was over, I was told that I would be monitored for the rest of my life. Matt: I always had the impression that Clem was not the brightest of people. But in reading the dialogues I was very impressed with his intelligence and articulation of complex ideas. Given your exposure to the young Grogan, what was your opinion of his mind capacity? RH: Clem and I had several intelligent conversations and never once did I even suspect that he was mentally disadvantaged, as he apparently convinced a so-called educated judge to think he was. But, what is the difference between a person who "functions barely above the animal level" and a so-called educated person. Isn't the very definition of a human being: A creature that, to some extent, functions above the animal level? Is it just some degree of "mental maturity" which distinguishes each of us from one another? Apparently, Clem had the amazing mental ability to play both dumb and dumber roles, just like a judge would want. (Note: nothing turns a judge on more that the feeling of "defendant dumb, so I must be smart") Charles Manson has been trying to play the "animal level" routine, but so far only Clem has succeeded in getting himself out of jail, without climbing the fence. So. what does that say about Clem's mind? And how come Charles "the mastermind" Manson refused to play "their" game, according to their rules, so he could walk out of prison? Discover the answer to that question and you will understand the secret to the Manson mystique. ..."explain to me how you and your audience connect "then" to "now" mentally? Now, look at all the responses and see if you can recognize the level of "mental maturity" (ability to foresee the consequences of what I say) expressed within those answers. "Intellectual curiosity is the very definition of NOW"...If you are curious you are in the NOW,"
While the above appears to rate a 10+on a scale of 1 thru 10, a simple minded judge could actually be intimidated by such a profound sounding response. Although the answer is less personal than others, it is direct and practically un-disputable. Now, see if you can find the answer that is totally off-base and can even be considered an unintelligible response to a question everyone else found very easy to comprehend. Where the measure of "mental maturity" relates directly to ones' ability to understand the consequences of their actions, Clem apparently knew exactly which role he had to play in front of a specific judge in order to be saved from a death sentence. Susan Atkins, on the other hand, did not even realize that her confessing of the Tate murders to a stranger like Ronnie Howard could lead to the arrest and conviction of not only her, but her beloved Charlie Manson. If you compare the Manson Family members on a "mental maturity" scale, your discovery should be an interesting experience. Then compare the "mental maturity" level of the Manson Family "killers" with those you meet in your everyday lives. P.S. To put Clem's situation in a proper perspective, try and find another murder case, in American history where in the first trial, the judge reduces the death sentence to life and several years later, the guilty defendant is actual se free, without an appeal process or re-trial. Many thanks for that post, Matt. Also, kudo's to Mr Hendrickson for having the wisdom and courage to do the film project and interviews with the Family during what was a very volatile time period for them all. You definitely had some big cojones. I haven't yet started reading the book, but it's my little project while I'm on vacation next week. Not well educated on who Kevin is. Can someone please clarify who he is and his place in all of this? Is a image on the web available anywhere? this is why I visit the blogs and am a devotee of Liz's. Great stuff. RH is clearly head and shoulders above others in terms of insight into TLB. Has he ever gone one on one with Bugliosi? Has he ever sat down with CM? I regret I don't have his movies or books. I have to send away for the package soon. But thanks for the interview Matt. Ken- I have the DVD's and I would assume he is one of the few guys who are shown- whom I dont recognize- but, I have never read or heard of him in any of the books/interviews/transcripts/police reports I have gone over..
sorry- maybe someone else can help better??? Is he that guy in the photos of them outside of the courts with the "chin beard"? You know, the one nobody knows who he is. PS Ken: Kevin is the guy if you have ever seen Robert's photo doing a "body ritual" naked with Gypsy at sunset. He had a crazy mop of blonde hair and what appear to be a couple of beaded dreadlocks hanging down. this is why I visit the blogs and am a devotee of Liz's. I have always had the impression that Grogan's trial judge was opposed to the death penalty and gave Grogan a lighter sentence not because he thought Grogan was really dumb but simply to oppose death penalty advocates. There was extensive left wing opposition to the DP in the early 70s. I can't believe Hendrickson claims Obama says anything "eloquently". He's doubled unemployment and we are fighting in 4 countries now instead of two back when Bush was pres. Is this the so-called "change" Obama kept telling us he bring to America? Sometimes Hendrickson sounds like Sandra Good. I have absolutely no desire to get into a political discussion (it doesn't matter who ya vote for a politician still gets in) but surely "eloquent" is just a measure of how well someone speaks and has precious little to do with how good, bad or indifferent a president they might be. I never minded when Bush Haters plastered the internet with their propaganda. Why can't Obama supporters take it? Yall can't take it at all, not even a little bit. No one is allowed to tell King Obama he's not wearing any clothes. yeah, excellant point brownrice. There is no question Obama is an intellectual slickster expecially compared to Bush. I always argued that W. had the skill set of a maitre d. He was a backslapper and nickname giver and good ol boy. That skill set served him well as gov of Texas but didn't translate to Washington. Obama is like Clinton, the skill set of a riverboat gambler, a brainy opportunist. But you're right, different skill sets, still in the end a political animal - not to be trusted. I really enjoyed the insight into Gtogan in the interview. And MrP has a great point about the judge. Is the judge still alive? Has he given any interviews since Grogan's release? I'd love to see a joint Clem/Gypsy interview like the spooky/hilarious one Donkey Dan and Sherry Cooper did. Leary it's true Decarlo gave interviews for a while but after he realized he was being blamed by many for causing TLB he went underground and now wants nothing to do with his past. I think he is ashamed at providing the guns that did the shooting in the most famous crime of the 20th century. At one point he had friends put out bogus info that he had died in Canada. He now tells friends to ask the public to not inquire as to his whereabouts or life. I think it finally sunk in to Decarlo that he is infamous the world over and he's now ashamed of that. hard to argue with that point of view. getting caught up in the spitball fight between lefties and righties is a colossal waste of time and energy. it really is, as the song says, the season of the witch, and unless functionalism makes a cultural and political comeback, we are screwed. 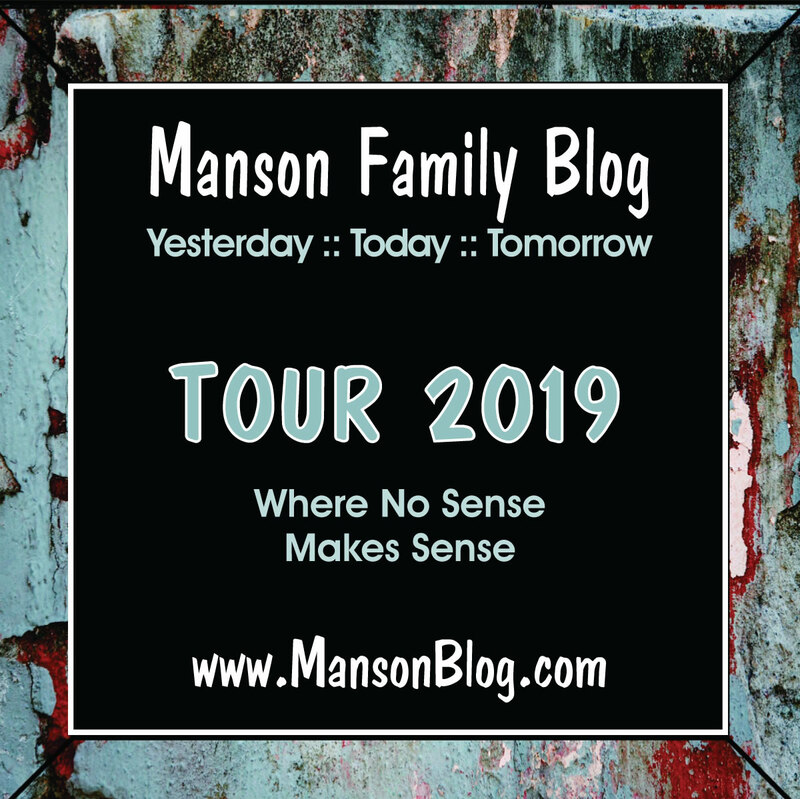 but do you think, MrP, that danny is more uncomfortable with his Manson connection or his donkey connection? It would be nice to know the particulars of Danny's life. Didn't I read somewhere he was homeless in L.A.? I can totally see where he would get fed up with being pigeon holed by his Family conncetion, but I also have a hard time envisioning Danny as a born-again moralist. Leary I don't think Decarlo is a moralist. I think he's the same conman he always was but he did deliberately have rumors circulated by friends that claimed he was dead. This tells me he eventually had to distance himself from the Manson aura for the sake of peace of mind. Even Squeaky avoids the Manson era now. Being found out as a former Mansonite can run off friends. My guess id Decarlo grew tired of seeing that happen. Re: Nancy Jordan. Nancy was a heroin addict. No heroin addict goes to the police, even to report a murder. Especially not to report a murder. The cops will be holding the addict for ages and ages while they get round to doing their interviews, they'll be turning up just as the addict is getting the day's fix, they might even frame her, you never know. No junkie would risk it. And I don't think he gets Susan at all. Susan herself understood she had an uncontrollable tendency to boast, even when she knew it would bring trouble on her. Her life was so horribly loveless. Not a soul ever made her feel worth anything and she couldn't do it for herself. She compensated by self-destructive behaviour that at least got attention. She just couldn't stop herself. Nancy Jordan said, incredulous: "What I couldn't fathom was her telling people. that's the quickest way to get caught." But it was simple to Nancy. Susan had so many conflicts going on. She regretted telling at once. And that is all she regretted, not the murders themselves, it has to be said. Her remorse was for dropping her friends in it, and winding up ostracized. She is very pitiable and a testament to what unloved children can become. ...wanted to thank you for the Question / Answer post. Could you post, for me, right after "Fiona" that her explanation of why a heroin addict wouldn't say anything about a murder to the cops, sparked my understanding of the situation. Forty years and I never realized that. Of course, that's how the interactive internet is supposed to work. We learn form each other. You can tell "Fiona" that had Obama killed Bin Laden before I had the book printed, I would have surely commented about that in print. It's called "crossing the line". The MANSON Gang did it with the massacres, and now an American president has initiated a world game changer. The entire Middle East is in a state of turmoil and the world's dominant leader has publicly proclaimed its OK to kill bad people without an arrest and fair trial. The black & white line has at least been significantly greyed. So is Obama going to now order the assassination of Charles Manson, because otherwise, he may be walking out of a California prison with the other 40,000 inmates, via the Supreme Court's recent decision.